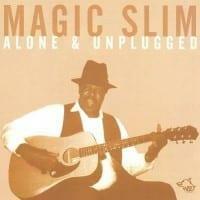 Magic Slim died on the 21st of February 2013 but his spirit is still there! 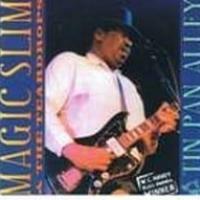 Slim got a lot of Awards during his lifetime his last award he got 2013 for the best Blues Traditional Blues Male Artist. 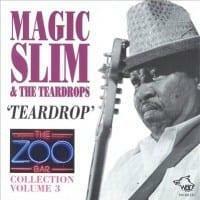 On this CD you can listen to great life recordings never on CD before which will show you what great Blues Artist we lost. 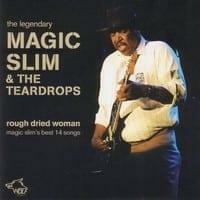 Also he was accompanied by his legendary band, the Teardrops: Mostly on the songs John Primer, Nick Holt (Slims brother) and Earl Howell. 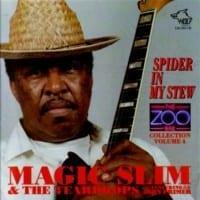 Liner notes written by Bob Corritore. 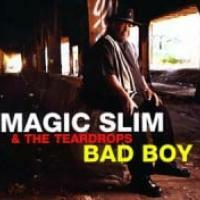 Sin duda Magic Slim fue uno de los representante más genuinos y auténticos del sonido ‘houserockin blues’ del south side de Chicago, después de J.B. Hutto y Hound Dog Taylor. Su forma de tocar intensa, raw, descarnada, al tiempo que llena de energía y fogosidad, además de un tono de voz grave y profundo, le convirtieron en uno de los pilares fundamentales del genuino sonido ‘Chicago’ de los años setenta. 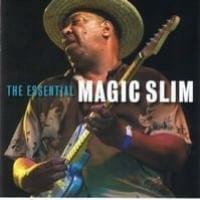 Magic Slim supo aglutinar en su música la intensidad, la pasión y el espíritu más profundo de este género, haciéndolo asimilable y fácil de digerir para cualquier tipo de público. Su muerte en el año 2013 dejó un gran vacío entre los más incondicionales y fervientes admiradores de su música. Por eso la compañía Wolf ha editado hace muy poco tiempo un nuevo disco de su artista fetiche, en el que se recogen una serie de blues interpretados en directo y que nunca habían visto la luz hasta ahora, como siempre acompañado por sus legendarios Teardrops que, en la mayoría de canciones, son John Primer a la guitarra, su hermano Nick Holt al bajo y Earl Howell a la batería. Un disco de homenaje para disfrutar en innumerables ocasiones. MUY BUENO. 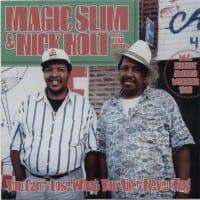 The fourteen numbers collected here are from live dates played in Austria, during the period between nineteen ninety–two and ninety five, Morris ‘Magic Slim’ Holt is joined by the Teardrops; (his brother) Nick Holt; bass, Earl Howell; drums and last but by no means least John Primer guitar. The sound quality is crisp, sharp and crystal clear, the attentive and appreciative audience are already in the groove as the striding guitar’s rich and funky opening notes of Love Somebody, pour out of the speakers. The crisply rich and fluidly ringing notes from Magic’s string stroking fingers, immediately transport you a sweeter, better place. 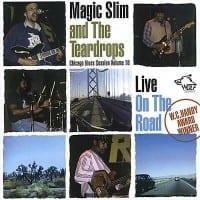 His rolling and tumbling, rough and ready approach to the blues whether it be Chicago or Delta based is very similar to that of Hound Dog Taylor and is all the better for it, because as you listen, you are automatically transported there with him, in mind and spirit. 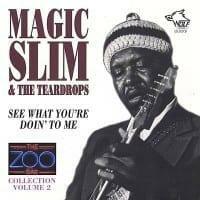 The set includes splendid renditions of numbers such as; a very fine and stirring, string bending version of Albert King’s I Got The Blues, while Lovin’ You (Is The Best Thing That Has Happened To Me) rolls wonderfully along with a low swinging guitar groove. The evocative and sincere slow burning Since I Met You Baby, has Magic expressing his emotions in low and mellow tones that are succinctly accompanied by a heartfelt and almost lonesome lyrical guitar. Look Over Yonder’s Wall, sees Magic infuse a rolling, urging stroller with some delicate string tingling finger moves. The dark pleading vocals he wails, seamlessly unite with the stark ringing emphatic guitar strokes he conjures up on Jimmie, are simply marvellous. Definitely, one for the collection!